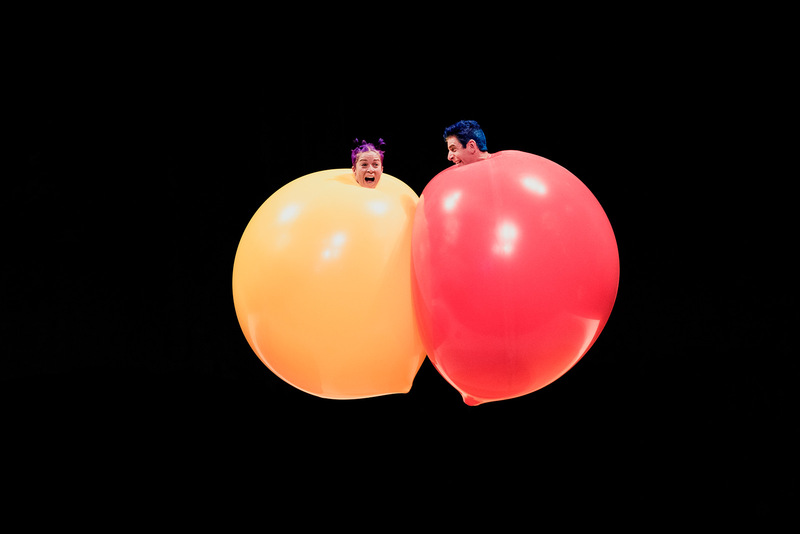 Presented at a special family-friendly time. 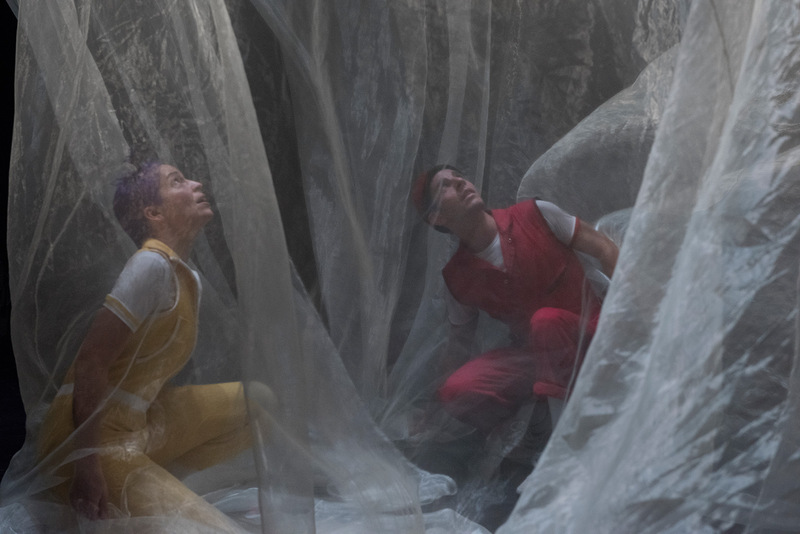 “A joy from start to finish” (Sydney Morning Herald), Air Play reveals the adventure of two siblings journeying through a surreal land of air, transforming the ordinary into objects of uncommon beauty. 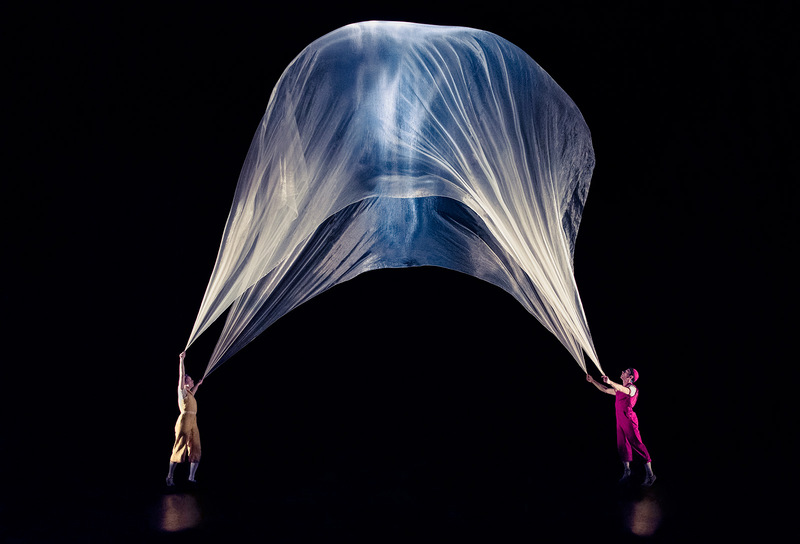 Circus and science collide as fabrics dance in the wind, balloons have a mind of their own, confetti turns into the night sky, and an enormous canopy of hovering silk brings to life the very air we breathe. 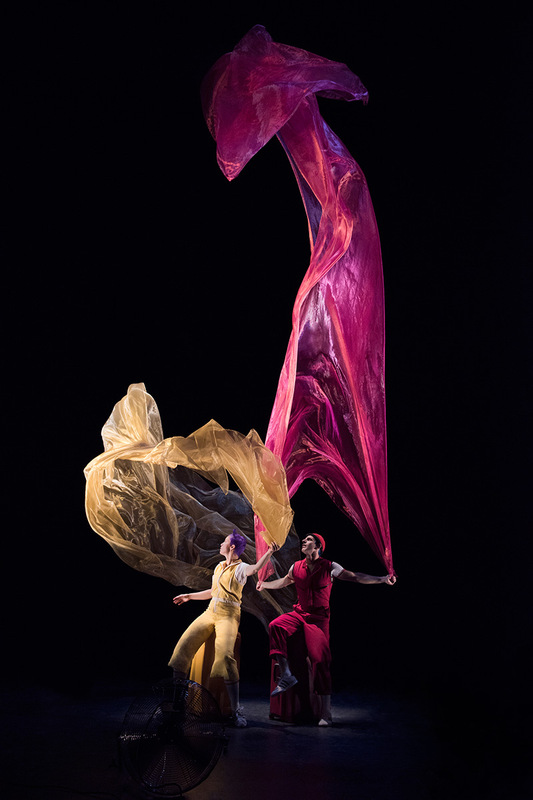 The creation of Acrobuffos, the husband and wife team of Seth Bloom and Christina Gelsone, Air Play merges their circus and street theater performance art with the sculptural artistry of Daniel Wurtzel. 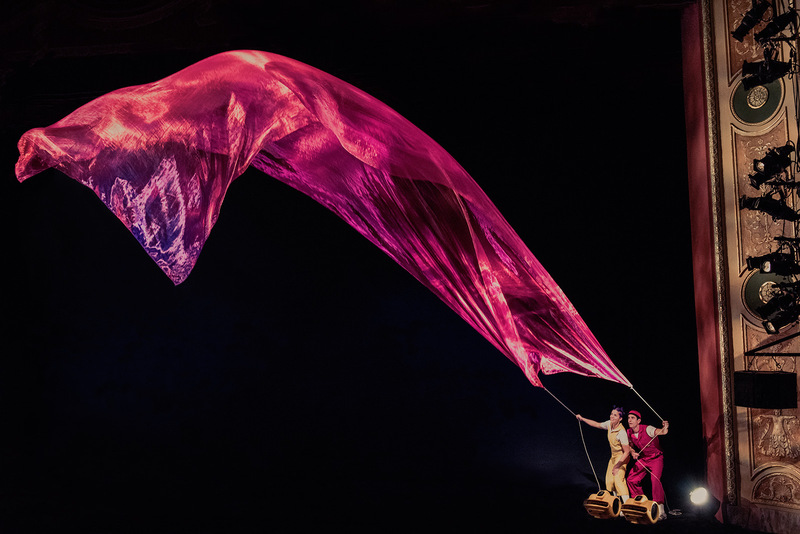 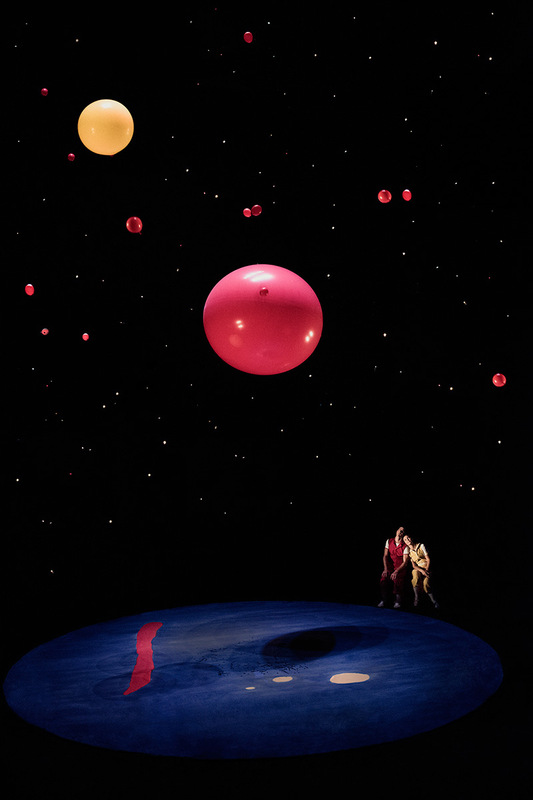 Wordless yet wonderful, Air Plays universal magic enchants audiences of all ages across the globe from China to Chile, the Netherlands to New York.